I don`t care what anybody says , i ADORE this album. I don`t think it`s a masterpiece by any means , I don`t even think it`s the Clash`s best album. But to have such a big hit as London Calling and then follow it up with a 6 sided album full of dub, electronica, hip-hop,folk, ballads , motown , soul, skiffle, gospel and everything in between , well quite honestly that takes balls , and to release it at the same price as a normal album , so much for the punks calling them sell outs. A lot of people hate it , but hey who cares what they think , some of the above mentioned punks even dismissed this as 'prog rock' when it came out. But I would rather have a band who tries & fails than just rehash the same 3 chords of their first album over & over again. Yes it`s huge , yes it`s bloated but strip it away theres a fantastic album under it , even better than London Calling in my opinion if you take best 12 or 13 songs on it . But if you do that you lose the whole fun of this album.This is a great album for putting on & just getting lost in , you just never know whats coming next , even if you`ve played it a lot. Strummer said before he died there isn`t a single thing on this album he would change , I totally agree with him. If this thread had 'other'... that is what I'd give this album. It's massive in more ways than one. Experimental (for the Clash) to say the least. Urban...if punks have described this album as "prog rock", then they've missed the point. This is The Clash gone mad! And it's a good thing. It's ambitious, experimental, crap in places and brilliant in others. More importantly it works and to some tune. 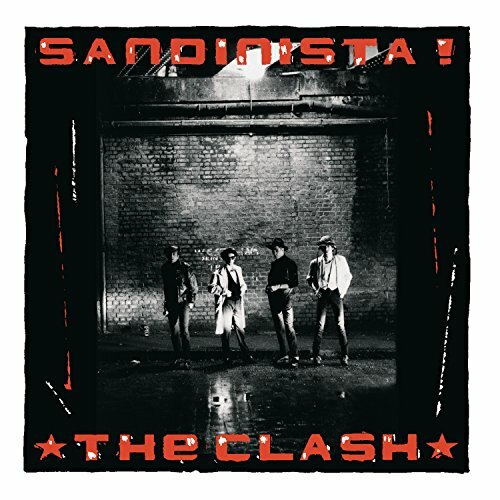 Anyone who loves music (and this album is not just for punks) should take a journey into 'Sandinista'. You may not like it (all) but you can't ignore it.